Music producer Danger Mouse is to release a blank CD, after record label EMI reportedly cancelled his new album. Dark Night Of The Soul, a collaboration with rock group Sparklehorse, also features Iggy Pop and The Flaming Lips, along with artwork by David Lynch. It has already been streamed online, but Billboard magazine said a "legal dispute" with EMI derailed the project. 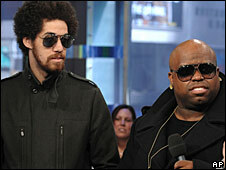 Danger Mouse, who is half of pop group Gnarls Barkley, said he hoped people would still get to hear the record. A spokesperson for the producer said: "Danger Mouse remains hugely proud of Dark Night of the Soul and hopes that people lucky enough to hear the music, by whatever means, are as excited by it as he is." He added that the album, which comes with a limited edition, "100+ page book" of David Lynch photographs inspired by the music "will now come with a blank, recordable CD-R". "All copies will be clearly labelled: 'For Legal Reasons, enclosed CD-R contains no music. Use it as you will.'" It is unclear at this stage whether the record has been postponed or scrapped altogether. EMI could not be reached for comment. At the time of writing, the entire 13-track album can be heard on the website of US public radio station NPR. The free, legal stream has been the site's most popular page for more than 24 hours - but it is unclear how long the audio will remain available. "We don't have a definite take down date," NPR Music producer Robin Hilton told Billboard. "It's up in the air." 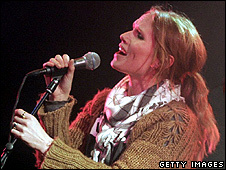 Other guest stars on the record include The Strokes' Julian Casablancas, The Pixies' Frank Black, Super Furry Animals frontman Gruff Rhys, and Nina Persson of The Cardigans. Danger Mouse first came to attention with a bootleg CD that mixed a capella tracks from Jay-Z's Black Album with music from The Beatles' White Album. He has since gone on to produce cartoon band Gorillaz and alt-rock icon Beck.